We were at a friend's house, and Mikko spouted his newest favorite line, "I hungry and thirsty." Sometimes he is; sometimes it means, "Pay attention to me." Whatever — it works, because who can resist? Our friend offered him a slice of bread, which Mikko accepted but then complained that it needed butter. (Three-year-olds are not much for social conventions.) Our sweet friend readily complied, inviting Mikko to follow her into the kitchen, where she brought out the butter and a knife and held it out to him. "Do you want to put the butter on yourself?" she asked. "No," Mikko says, "on the bread." A little friend sent Mikko a birthday thank-you note, upon which she had drawn two figures in purple apparently representing herself and Mikko. Mikko looked at this card with growing indignation and suddenly burst out, "I not purple! I not purple!" He looked down at what he was wearing that day. "I red and black!" And sweet: If we're eating together, Mikko will turn to me and say, for instance, "The baby like salad, Mama?" "Yes, I think so," I'll respond. "You eat it, Mama, so the baby can share the salad." His nurturing side is geared up and ready to go. "Ballet Jumping" from Motherhood Moments: This one just made me laugh, about a little boy who believes in his ballet future and practices quite vigorously in advance. It also reminded me of my own little ballerino — if you want to see more pictures of Mikko rocking a pink ballet dress (he thinks it's the awesomest thing ever), head over to my Prima Princessa giveaway. "Frankly and lamentably, there are people within the unschooling community who are ready and willing to tell you exactly how unschooling should be done. I have never really understood this. … a 'right' way to unschool? Pish . . . I just don't buy it, especially when it comes from unschoolers who theoretically should be more interested in allowing people the experience of their own journey than in whether or not their choices are conforming to a pre-conceived notion of what 'right' unschooling looks like. At the end of the day, I think we should all be less concerned with whether or not we are 'unschooling' and less concerned with where we are on the unschooling spectrum, and far more concerned with whether or not we are being good parents and helping create an environment in which our kids are happy and joyful. Whether or not that leaves you with a label of 'unschooler' or 'radical unschooler' or 'home schooler' or anything else should be of no concern." "Ending Battles at Bedtime", a guest post from Kellie at Mindful Life for Code Name: Mama: I found this description of reconnecting physically with an older child (of whatever age) incredibly moving and motivating. 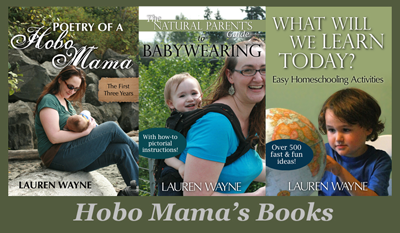 As we pass through the babywearing, breastfeeding, cosleeping stages, I'm sure it can be easy to think we can leave behind the snuggles and closeness that came so naturally when doing those things. But children don't outgrow the need for gentle, meaningful touch. 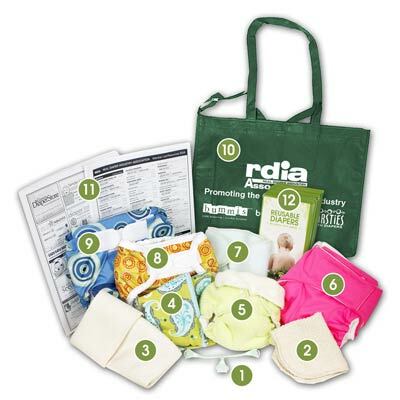 "Birth Educator Cloth Diaper Kit" from Stand and Deliver: I thought this cloth-diaper demonstration kit was really cool, and a deal at $25. If you're a qualified, registered doula, childbirth educator, midwife, birthing center director, or lactation consultant, this can be a great way to introduce cloth diapering to the parents you work with and show them how far we've moved beyond the age of pins and vinyl pants (though those are fine if you like 'em!). "Fed-Ex Shipping Sponsorship" for a beautiful little girl who needs shipments of breast milk from Healing Anaya, via Breastfeeding Moms Unite! : Anaya has an illness where she needs breast milk, but her mother's supply has all but dried up. Leave a comment on the post to encourage Fed Ex to sponsor shipments. I'm considering donating my milk again with the next baby, assuming I have some free time and free hands. Last time, I did it out of a randomly sprung sense of obligation, but this time I'd like to make the choice intentionally and perhaps sign up with a milk bank. "Hurting others does NOT make you a better Christian" from Babyfingers: Like Jenny, my take on homosexuality has changed a lot in the past decade or so. (I had a fairly fundamentalist Christian upbringing.) Part of it was the shocking realization that people who are different from you are still people. I know, radical! I want Mikko to know he can be whoever he is, and we will love and support him and be proud of him — and I want to teach him the same tolerance for others. "The high-fructose corn syrup bloggers: A symptom of a larger problem?" from PhD in Parenting: Sigh. The senseless shilling never ends, does it? "As if my fear of flying wasn’t bad enough…" from Scary Mommy: And this just cracked me up. This is from my site but worth a link to, because it's awesome. And I can say that, because it's a guest post from Amy at Anktangle: "Being 'good,'" on the language we use to describe children, where "good" = "convenient." I hope you enjoyed our October Carnival of Natural Parenting, on how we find balance in the midst of attachment parenting. There were so many inspiring experiences and ideas to read — with the overall reassurance that balance is complex and shifting, and we're not all balanced all the time, even if we look like it from the outside. 25 custom photo cards from Photo Card Creations. These chic, designer cards are worth about $62. Contest is open to U.S. addresses. Enter by October 26. Prima Princessa Presents: Swan Lake DVD from Prima Princessa. My son lurves this preschool-friendly ballet DVD that introduces key vocabulary and dance concepts, shows and explains a professional production, and gives lots of time to twirl around in tutus and tiaras. This is a Region 1 DVD so is open to U.S. and Canadian addresses. Enter by November 10. 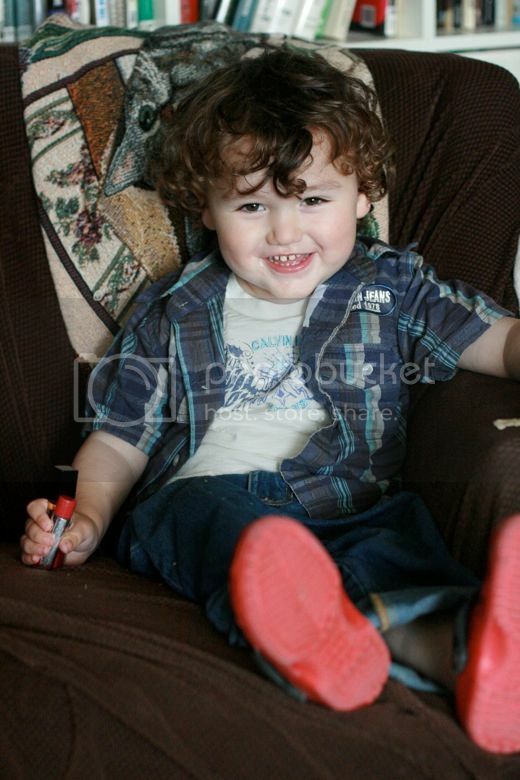 It's so cute to hear a 3-year-old talking about an unborn sibling. Suzi is fascinated with the new baby. Yesterday we were baking cookies and I got flour and sugar on my (black) shirt. She told me "Mama, you spilled stuff all over Baby Robin!" 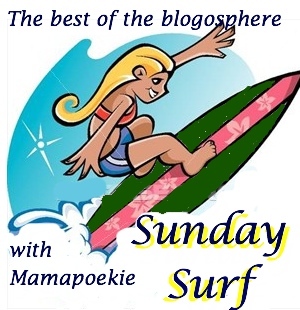 I love your Sunday Surfs! And also share your annoyance at the phone book deliveries. It is so obnoxious, it seems like we get a lot of them! Sometimes I just feel like asking the company, have you heard of this thing called the internet? Where we can look all of this information up without wasting the paper??? I hope you are feeling well! We're thinking about number two now and I only know blogger moms who are pregnant at this moment so I find myself thinking of you all, funnily enough.